Back in December I was amazed and incredibly excited to be asked by Derwent Pencils to become one of their resident art bloggers. Being one of their bloggers means that whenever they need to promote an old or new product they send it to me to test and review in a blog. As an artist, this is so exciting! The first product I was sent to review was their new Procolour range. To say the colours are beautiful and vibrant is an understatement! I’m not going to say too much about the pencils as my full review will be out on the Derwent blog page soon. 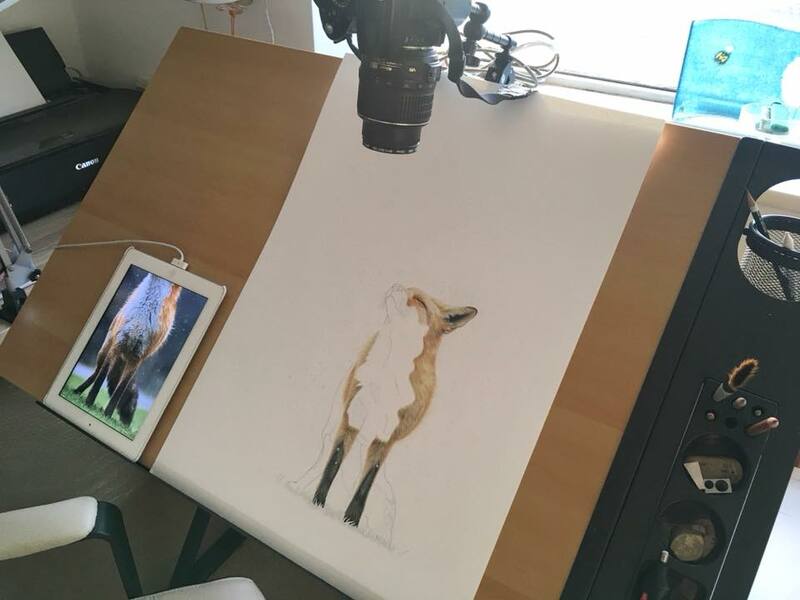 The image I decided to draw for the review piece was a fox as recently I’ve been wanting to venture further into drawing British wildlife. 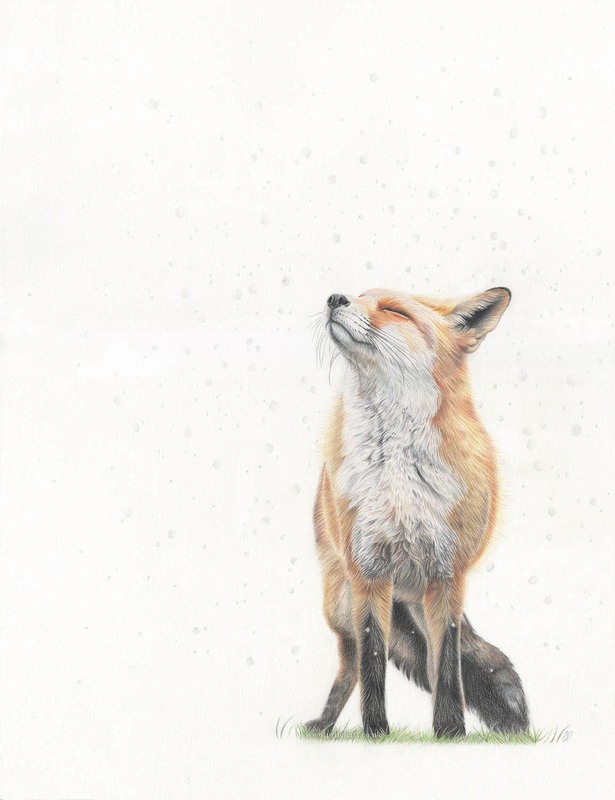 Fox’s are always seen as cunning and mischievous so I wanted to capture one in a moment of peace and tranquility. 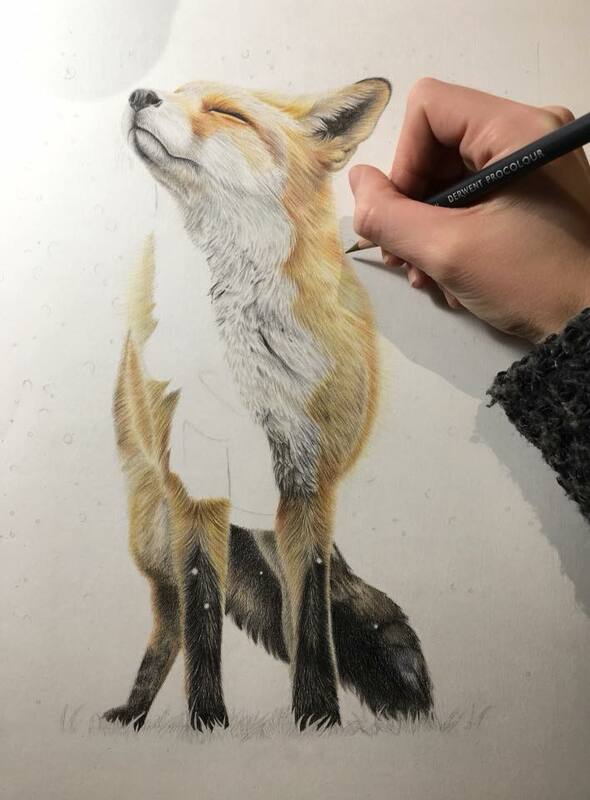 The creamy texture of the Procolour pencils were perfect for creating the soft texture of the fur. The most challenging aspect of this piece was the white chest. Drawing white fur on white paper is never easy but I pulled out the greys, blues and yellows and after many hours it finally came together. It’s always important to remember that fur points in different directions so catches the light differently depending on which way it faces. Slowly getting there with all the white fur…! I loved using these pencils and can’t wait to review my next Derwent product!